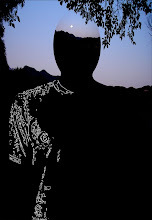 I always thought it would be cool to put my lunatic ideas on t-shirts, but one thing or another made it impractical. That's changed now, as you can see by the Zazzle panel over there on the right. 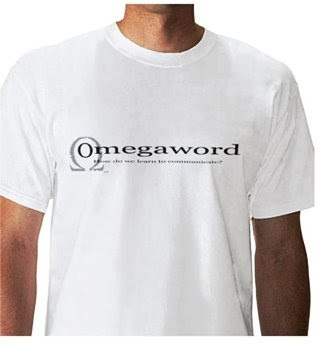 I put a few t-shirts on the virtual rack yesterday—including the one with the Omegaword logo to your left—and today there are poster versions of those graphics, too. The official Omegaword coffee mug was an afterthought, but hey, coffee is really, really important. My Big Merchandising Adventure doesn't leave much time for things like writing, at least not until I get this thing rolling along by itself. But considering I just started a couple days ago, it shouldn't take too long. I have many ideas and a lot of graphics—plus a few words, too—that will find their way onto shirts, posters, and probably everything from skateboards to postage stamps, eventually. It's jarring, I know, to think of that Stone Cold Salvation graphic on official United States postage, but it could happen. Really. By the way, I had nothing to do with the babywear; the Zazzle computers do that automatically. I'm in no way suggesting you should dress your infant in Stone Cold Salvation, or Jitter Putty. Of course, I'm not suggesting you shouldn't, because that would be mind control. In the meantime, please feel free to order a few cases of coffee mugs, or a gross of t-shirts, or a thousand posters for the cube farm. I'm working on the skateboards and the shoes, but I'm only one guy so don't get all demanding on me or I might freak out. Well then, you have been busy...setting up shop! It will be interesting to see how this works out--i have always thought your graphics were pretty cool. Yes, slaving over a hot computer. It will be interesting indeed, especially if I make enough to buy a new toothbrush. I really could use a new toothbrush. Thanks for the positive thoughts on the graphics!